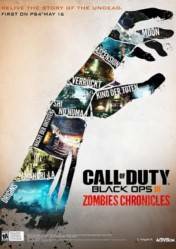 This version of Call of Duty Black Ops 3 Zombies Chronicles is for PC in digital format, and is a new DLC that complements the base game CoD Black Ops 3, so it is necessary to have this game to enjoy this new DLC. This new DLC, focused on the zombie experience, includes: 8 classic maps, for zombie game mode, remastered from Call of Duty World at War, Call of Duty Black Ops and Call of Duty Black Ops II. It also includes fully remastered HD maps for Call of Duty Black Ops III. By getting us with this DLC, we will also instantly receive: 20 Divinium liquid vials, 2 new capricious Gobbles and 5 Pack-A-Punch Zombies with special camouflage weapons. The maps for Call of Duty World at War that we will unlock are: Nacht der Untoten, Verruckt and Shi No Numa. The 4 maps for Call of Duty Black Ops are: Kino Der Toten, Ascension, Shangri-la and Luna. And for Call of Duty Black Ops II is the Map Origins. I was just wondering if this product is the DLC pack or the Zombies Chronicles edition of the game? I just want to make sure before I go and purchase it. That's very good and cheap dl! Thank you for good price and everything on this game is very high quality, I love that zombies too <3 appreciate it. This DLC has to be the best one in the series of the game. You get not 4 but about 8 maps in the game! And that's just amazing. The amount of nostalgia in this DLC makes you play the game non stop! Buy this now! Highly recommended!